A total of 13 people were hospitalized and 17 buildings evacuated after an accidental release of chlorine gas at an industrial park in Spokane, Washington on Wednesday. The Pacific Steel and Recycling workers had loaded a one-ton cylinder to be crushed for scrap metal. According to workers, a “yellow puff” escaped when the crushing began and it quickly erupted into a large cloud. Eight workers were immediately overcome and sent to the hospital. Judging from the descriptions of the gas, the respiratory symptoms shown by those exposed, and information from the vendor who sent the cylinder to Pacific Steel, authorities have identified the chemical as arsenic trichloride. In addition to the Pacific Steel workers sent to hospital, 22 city staff members were placed under quarantine after the chlorine cloud drifted to a city vehicle fleet center. Jeff Millhollin, president and CEO of Pacific Steel and Recycling, thanked the first responders for their work. The company is currently working with city officials to determine how the container got into the facility. Although Pacific Steel does not normally work with chlorine cylinders, when it has in the past, they were always empty. Chlorine gas is not flammable in and of itself, but it is known to increase the flammability of other substances. Exposure symptoms are mostly found within the moist tissues of the body such as the eyes, throat, and nose. Irritation, burning, shortness of breath, coughing, inflammation, and vomiting are the common signs of short- to moderate-term exposure. Severe or long-term exposure can lead to chemical burns, frostbite, necrosis, or sudden death from the narrowing of the upper airway. Alexander, R., “3 Still in Critical Condition after Chlorine Gas Release at Pacific Steel and Recycling,” The Spokesman-Review web site, August 12, 2015; http://www.spokesman.com/stories/2015/aug/12/firefighters-respond-pacific-steel-hazmat-investig/. Botelho, G. et al., “Spokane, Washington, Chlorine Accident Exposes 30,” CNN web site, last updated August 13, 2015; http://www.cnn.com/2015/08/12/us/washington-state-chlorine-sickness/index.html. 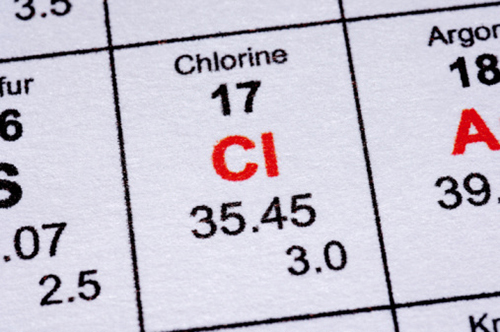 “CHLORINE: Lung Damaging Agent,” Centers for Disease Control and Prevention web site, May 26, 2015; http://www.cdc.gov/niosh/ershdb/emergencyresponsecard_29750024.html.